Supersize smiles are guaranteed when they try the recipes from the Red Truck Bakery. 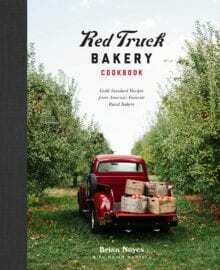 The cookbook is filled with 85 southern baking recipes for cookies, pies, cakes and more — right from the well-known bakery. These all-American recipes cover breakfast to dessert with both sweet and savory options. You can enjoy Southern classics like Flaky Buttermilk Biscuits and Mom’s Walnut Chews, as well as local Virginia favorites like the Shenandoah Apple Cake and Appalachian Pie with Ramps and Morels. Whether you’re choosing something sweet or a bit more savory, Catalina Citrus Sun Tea is a refreshing option.